With something for the well-seasoned travellers as well as the first-time travellers, this trip to Vietnam is all sorts of epic. 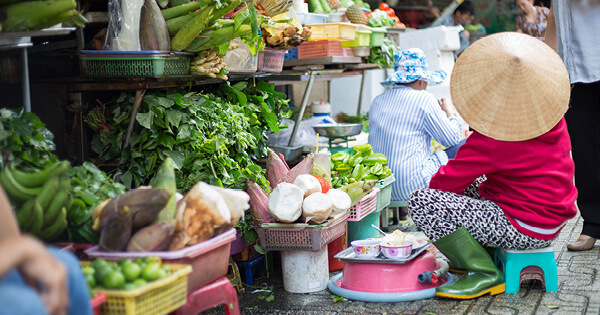 From crazy cities to motorbikes galore, to foodie treats and pho-real meals, all the way to getting cruise-y in the waters of Halong Bay - we've got it all. Tempted? Why wouldn't you be? Please note that Topdeck trips are designed for young people between the ages of 18 to 39 years. Bookings can be secured with a deposit of R1000 per person at the time of booking. This deposit is non-refundable unless we cancel your trip. Should you decide to cancel your trip more than 6 (six) weeks prior to departure, Topdeck will issue a ROLLING DEPOSIT VOUCHER to you for the R1000 deposit amount. This can be used towards any Topdeck Trip in the future. If making a booking within 42 days of departure, then full payment is required. Trips requested within 42 days of Departure are ON REQUEST, no other services such as flights, transfers and/ or Pre/ Post accommodation should be booked until the Trip is CONFIRMED.